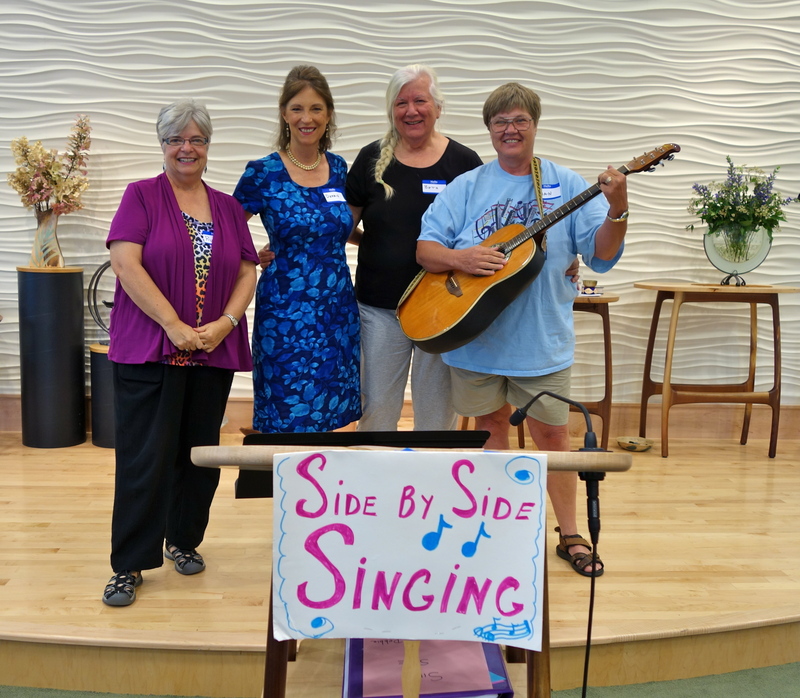 Singing during Side by Side sessions in Hendersonville has been enthusiastic and joyful. Originally planned for six sessions, we have decided to add an extra session to this series — we will now be singing on OCTOBER 1, 2014 as well. 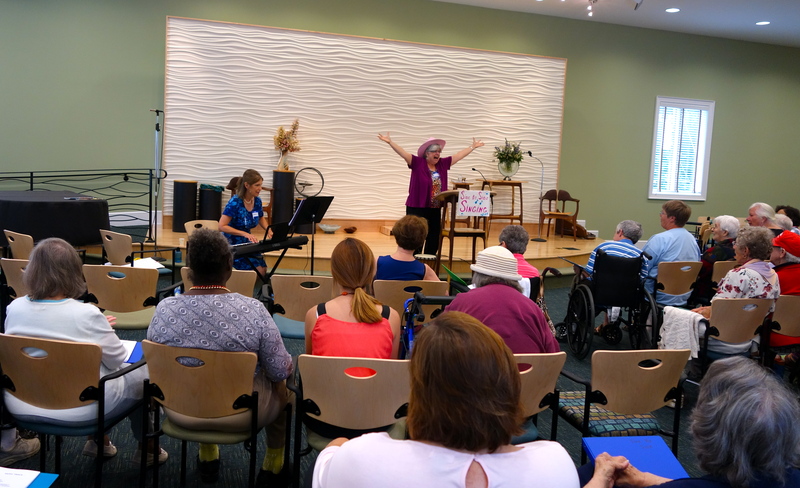 The Unitarian Universalist Fellowship of Hendersonville has been a wonderful host providing volunteers, space and refreshments. Located at the corner of Price Road and Kanuga Road in Hendersonville the parking is easy and the building is handicap-accessible. The NC Center for Health and Wellness UNC-Asheville continues to provide sponsorship. 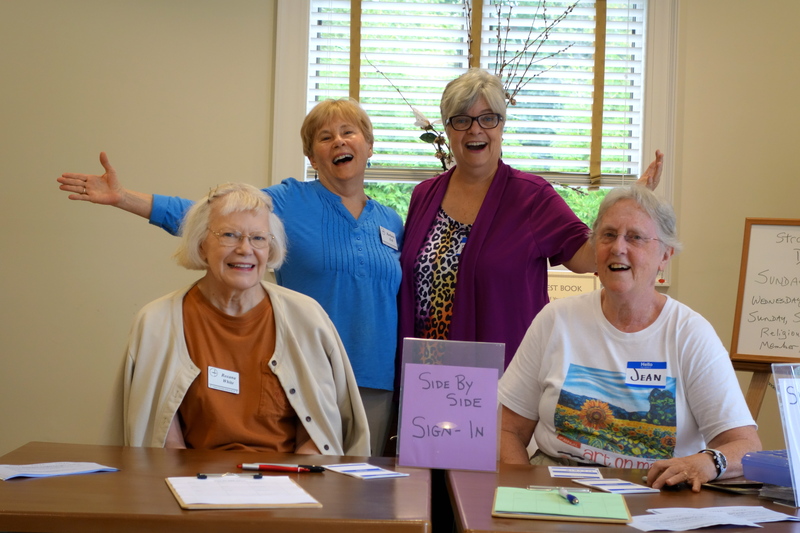 From left: Ruthie Rosauer, Debbie Nordeen, Beth Mallindine, Jan Mallindine. Sessions are at 1:30 on Wednesdays through October 1. As one of our volunteers commented, “I must say you and Debbie have done a wonderful job with the group. I’ve never seen anyone get so much sound out of any group as you all have.” Those living with memory loss, Parkinson’s Disease, as well as their family and friends are invited to join this community singing initiative.